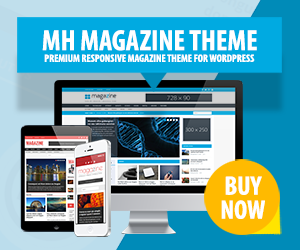 Home » Blog » WordPress Themes » Why use Responsive WordPress Themes? Why use Responsive WordPress Themes? Does your site already run a responsive WordPress theme? It is no secret that more and more internet users are accessing their favourite websites through mobile devices and this trend is still just at the beginning! The world goes mobile and responsive websites are the future of the internet. But what does responsive mean? What are the benefits of Responsive Webdesign? The benefit of a responsive website is, that it automatically adapts its layout to fit almost any screen resolution and looks fantastic on mobile devices, like smartphones or tablet computers. So there is no need anymore to build a separate website for mobile. With responsive webdesign you have only one website with a single domain, which is suitable for almost any device out there. This leads to a massive increase in usability and it is more seach-engine friendly too. If you like our infographic about “Why use Responsive WordPress Themes?”, feel free to share it on your website or social media channels.